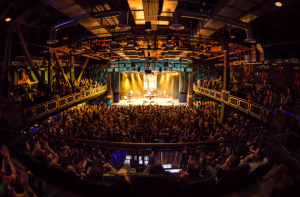 Grab your cowboy hat and dancing boots because House of Blues Anaheim is throwin’ a wild party for Southern California’s country music lovers. DJ Coral, Eli V and Honky Tonk Boombox will be performing the latest country hits that will be sure to get you out on the dance floor doing the Boot Scoot Boogie. If you don’t know how to line dance, now is your chance to learn from the best as Moonshine Flats’ professional instructors will be teaching the crowd. Additionally, there will be drink specials, tailgate games, giveaways, and more. Free parking available at GardenWalk for the first hour. Call (714) 778-2583 or visit http://www.houseofblues.com/anaheim. Credit: House of Blues Anaheim.